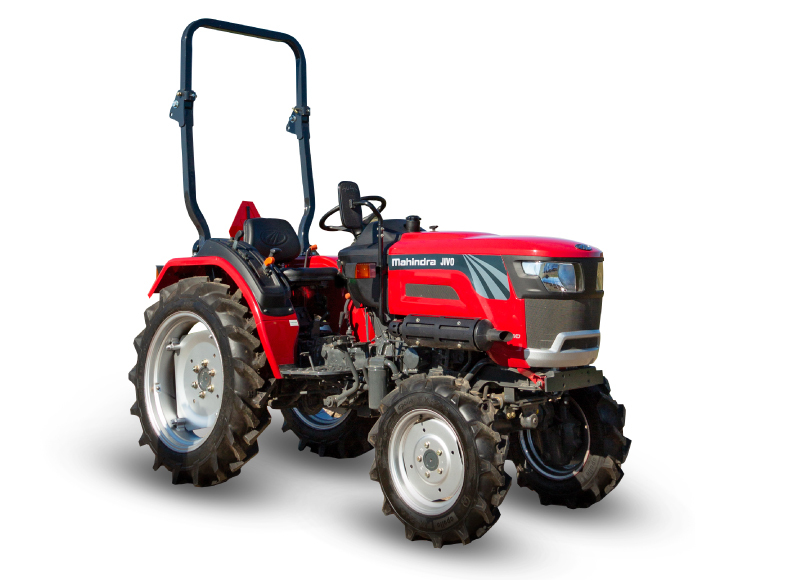 Mahindra JIVO compact tractor designed specifically for orchards, vineyards and small plot farming. The only 24Hp 4WD tractor with Direct Fuel Injection engine. The Mahindra JIVO gives you unmatched performance, power and mileage letting you accomplish much more for much less. Along with a sturdy and compact design comes the versatility to maneuver smoothly in vineyards and orchards. Mahindra JIVO means greater profits due to it’s low maintenance, best in class mileage and easy spare part availability with low cost parts.